Discussion in 'General Discussion' started by gilderoy, Sep 12, 2018. I am wondering, is is really that hard to add a button to pick up all items from the ground? Or when you press space a window will appear with all the items you can pick near you, and then on that window you can select to pick up only some of them or pick all. I am sure that it won't be that hard to make. It's the most frustrating thing in this game to pick one by one when you drop only junk around what you really want to pick up. GubRee and Falcon like this. I made this suggestion 9 years ago, also many others suggested it. I thoght also another think, don't know if it's easy or not to do: to add a "filter" for the drops, like the blacklist for the chat, that enable or disable to see some drop name. So you "blacklist" all the drops you don't need and see only one you need. 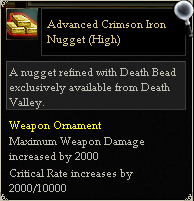 (There is already the option to show or not item names, it should be only an upgrade). Anyway the loot is often frustrating so a solution would be really welcome. All jokes aside, we aren't able to make any changes to the game UI or systems that aren't at least from the Korean version. Falcon and GubRee like this. Lets make our own 9dragons like game. I always wanted to have that cool name style like gm's have. Feature like this is convenient. O-Game Setting- [CheckerBox] Pick up all items. Many players combine for more critic & pvp options from diff sets. The clothes set have extra bonuses if all pieces are wear together. Compare the extra options vs what the others pieces give you. For eg. SRS epic set if all pieces are wear together you get extra critical rate increase (2100/10000) plus HP/Ve absorb (that is for pve). so my idea for clothes is the best way to gain crit rate for pvp? Try equip like that and test it then equip level 3 set and test. Then take another or make another combination. Look also at reff with critics on clothes (most expensive ones). In damage/critics relics with ads on, weapon, ornaments counts too. So you have to combine that and test it. All pvp is a puzzle, is not a certain reciepe because of diff roles, diff clothes, ornaments, relics and so on. All I am saying is that you have to test it. Combine everything and make Hefei duels, bp duels with diff roles. You may get some surprises that some things works good vs some roles and bad vs others. Also healers buffs counts a lot. Buff with 3 healers your character and see the huge difference. Than dope some critics pills too. For e.g. from this two weapon ornaments what you think will help you the most as warrior in pvp ? You have maxim weapon damage increase + critical rate vs 10 kk damage and balance. Btw, anyone please can tell me where to get the material for Fancy Kunlun Deco resources? I can find the 1st and last mats from NPC selling, but what about others? In your place I would go for SRS one, you will see more than red numbers. Some KL mats drops from mobs or bosses, but depends on deco. For the red phoenix, the feather drop from phoenix mobs, for blue dragon, the horn drops from dragon boss.You will need marketplace material to upgrade that decos. I am Happy ! Happy Nuts ! You make me happy, I give you all the good rice you can take. You make me angry, I give you all a smash rice ball ! White Tiger - the skins (Skin of SIlver Tiger) drops from KL tigers ( Forest of Tigers). Blue Dragon - Horn of Sacred Blue Dragon drops from Dragon boss, 2 spawn places, cannot trade, random drop. Black Tortoise - Shell of Sacred Black Tortoise - Tortoise boss, 2 spawn places, , cannot trade, random drop. Bloody Orb Excellence - made from bloody orbs. 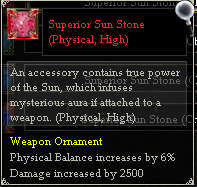 Piece of Bloody Orb Excellence - made from pieces of bloody orbs. Golden Fragment Execellence- marketplace item. but isn't it that if u don't have higher crit rate than your opponent (pvp), u can't crit them? ty Eroine for helpful info, but I just need the lvl1 deco to add in Costume Gallery, where can I get Fancy Coupon? You can get it from upgrading coupons into fancy starting from shabby. But I admit the SRS one is very costy to try it out, 5 bil for 1 in Yin ( if you want to buy) vs 150kk for the critic one. Just a concern. But Its hard to see item names when in party, item names cover the other item names :c , and i takes alot of time to pick items one by one, especially in dungeons.